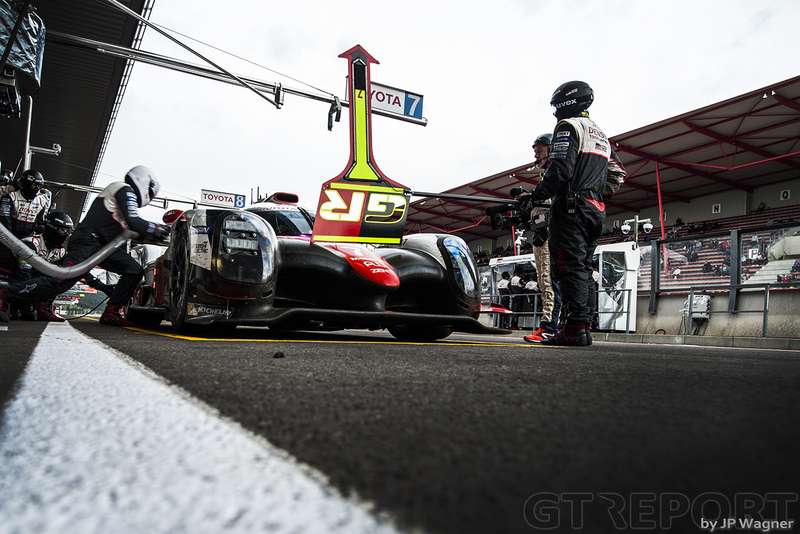 Never before has Toyota shown such might going into the 24 Hours of Le Mans. 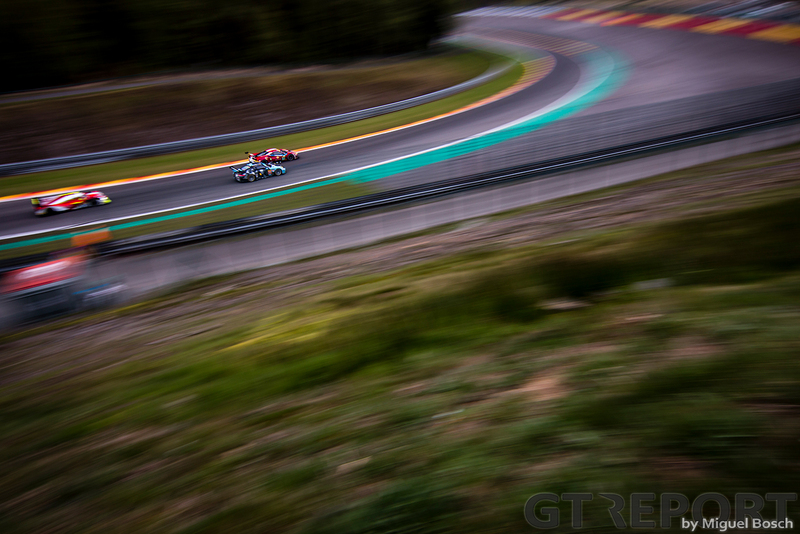 After a victory in Silverstone, the German-Japanese-built Toyota TS050 Hybrid of Sébastien Buemi, Anthony Davidson and Kazuki Nakajima defeated its sister car to score the win in the 6 Hours of Spa. 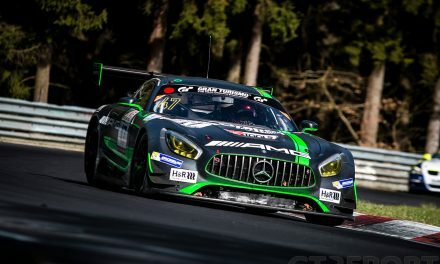 Ferrari did the same in the GT class, with AF Corse’s Sam Bird and Davide Rigon holding off their team mates who had been stalking the fellow Ferrari 488 GTE drivers for the duration of the race. It was 2 November 2014 when Toyota for the last time took a one-two win. Back then, Anthony Davidson and Sébastien Buemi were victorious in the 6 Hours of Shanghai. The two world championship hunters put everyone but their team mates a lap down under the Shanghai smog. Spa 2016 wasn’t going to be such an easy win for the red-white cars. Any ambition the number 9 Toyota, raced by Le Mans-goers Stéphane Sarrazin, Nicolas Lapierre and Yuji Kunimoto, had of running off with the lead from the start was put on-hold. Outbraking himself at the start going into the first corner to avoid an incident dropped Lapierre back to the end of the LMP1 field. This let the pole-sitting number 1 Porsche at the head of the field after getting a decent run into turn one, shortly followed by the other two Toyotas. 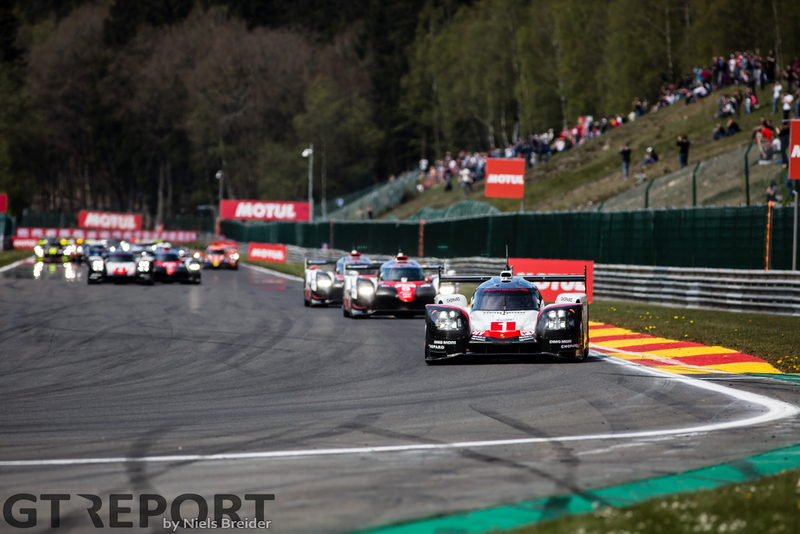 The opening hour saw battling between the Toyotas and the leading Porsche. Before long, the Japanese managed to get through into the two top positions with Mike Conway in the number 7 Toyota leading the charge, as the race began to settle down in the top class. Halfway through the race things changed at the top after the number 7 Toyota pitted under green whilst the number 8 managed to get a stop done minutes later under the mid-race full-course yellow. Even though the number 7 Toyota had the better pace, it had to overtake the number 2 Porsche again. The number 1 Porsche, also caught out by the full-course yellow, never came near the podium again after running in the top positions for the first hour. 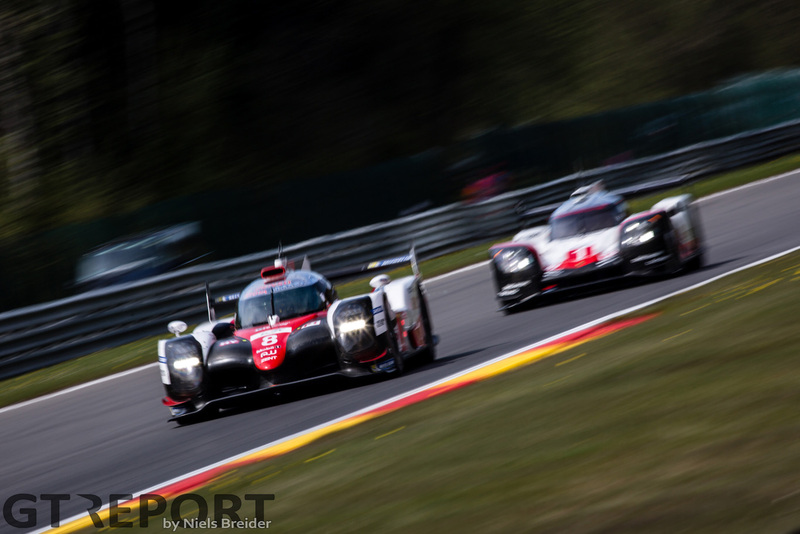 Trouble wasn’t over for Porsche: The number 2 919 Hybrid driven by Brendon Hartley managed to tangle with reigning world champion Romain Dumas in the number 36 Signatech Alpine at the Busstop Chicane. This would prompt a nose change for the 919, putting a big dent into the Weissach-built car’s chances of taking the top step of the podium. An honorable mention for the ByKolles Racing Team. Finally they managed to get a decent run in with their LMP1 prototype, the only privateer in the field. Hopefully, the now Nissan-powered prototype can up the pace and get a bit closer to the factory teams, but finishing in front of the LMP2 field is a good start. 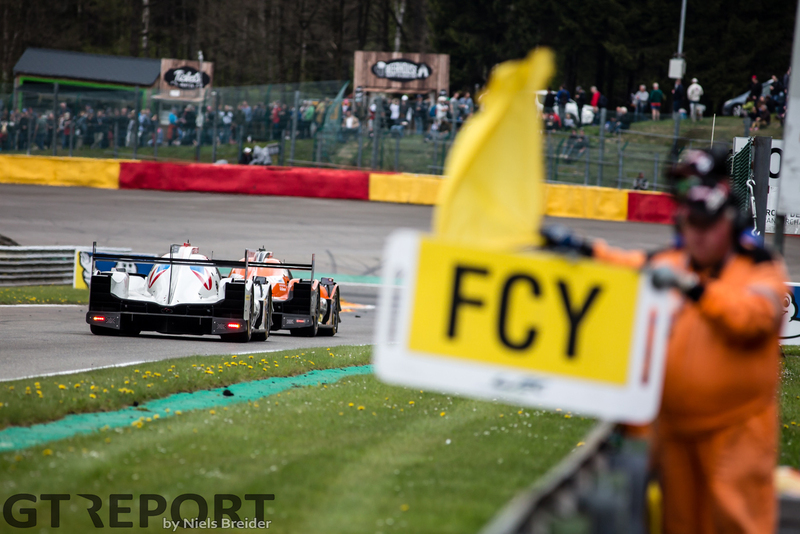 In LMP2 it was G-Drive Racing that went to win the race from pole position. 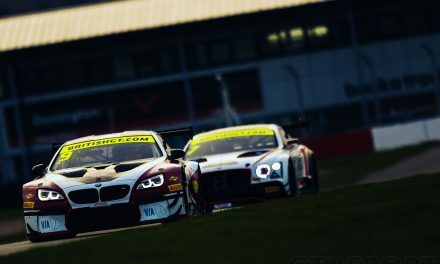 Alex Lynn, Pierre Thiriet and Roman Rusinov celebrated a hard-fought win, with the former two taking their maiden win in the World Endurance Championship, while Rusinov was on the top step of the podium for the 13th time in his world championship career. Vaillante Rebellion racers Julien Canal, Nicolas Prost and Bruno Senna came home in second place, having to forego a shot at the win due to issues in the finale. 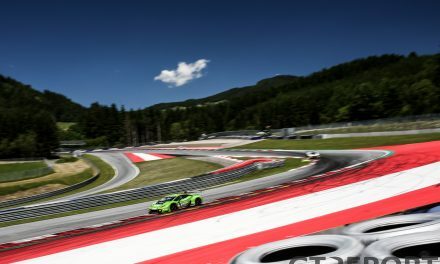 GTE-Pro saw a fierce fight for the lead in the opening hour between the top four cars with the Ford GTs bringing it to the AF Corse-run Ferrari 488s. Both Ford GTs ended up being overtaken by the number 51 AF Corse Ferrari of James Calado and Alessandro Pier Guidi at the end of the first hour, ushering in a race-long battle between the nose-to-tail racing Ferraris with the number 71 of James Bird and Davide Rigon coming out on top eventually. The decisive moment eventually came out to be a fuel-only pit stop by the number 66 Ford in the first two hours of the race. This meant the Ferraris, who did longer pit stops to also take on new tires, had a better pace and were able to pass the Ford with its worn-out tires. 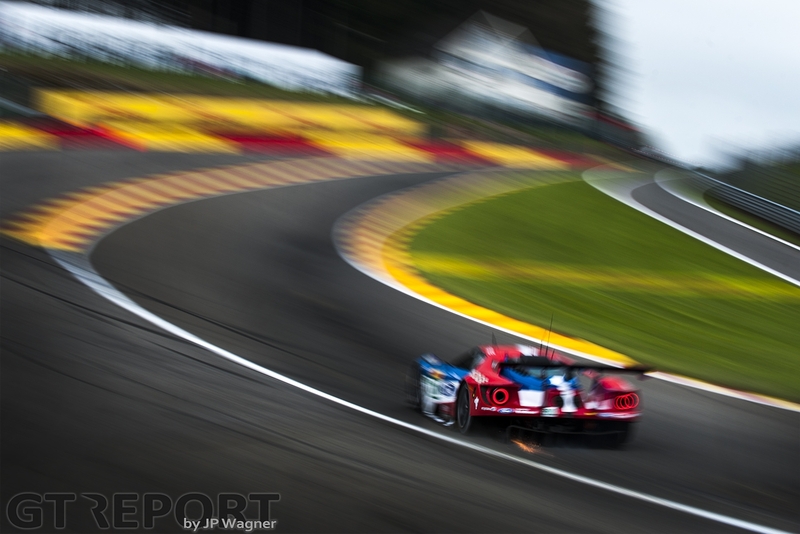 Meanwhile, the number 67 Ford had bigger problems to contest with after losing 1:30 minutes at Eau Rouge due to fuel-priming issues. Apparently, the Multimatic Ford had run completely dry at the end of its stint. 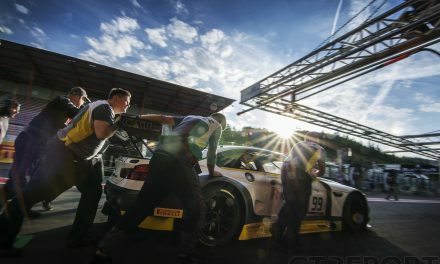 There were serious problems for the other two GT manufacturers, as both Porsche and Aston Martin seemingly do not have the pace to be anywhere near the front. Case in point: The number 67 Ford GT making up its lost time and eventually ending up fourth, even though the Aston Martin and Porsche teams had no apparent problems. In the GTE-Am class it was a start-to-finish win for the number 98 Aston Martin Vantage of Pedro Lamy, Mathias Lauda en Paul Dalla Lana.